If you ever took the plane to come to Rome then you must have landed in Leonardo da Vinci International Airport located in Fiumicino. It's the first town you arrive to but perhaps you don't even notice it as you immediately move on to your destination. Fiumicino is a town in the province of Rome that runs along the coast of the Tyrrhenian Sea. For a Roman, it's one of the popular beach places to escape to for a day away from the city. In fact, as soon as the warm weather settles in, weekends are always packed with city dwellers looking for a relaxing day in this seaside town. 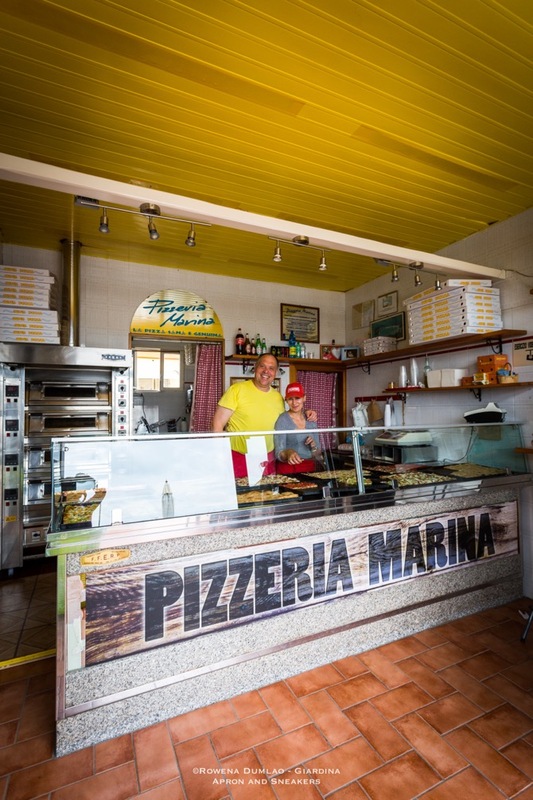 A walk in the beach or along the harbor and a lunch of seafood or pizza is a typical day in Fiumicino. The name Agugiaro & Figna has a fine story to tell. In the 19th century, the Agugiaro family founded their mill in Padua while the Figna family ventured into their milling activity forty years after in Parma. Both mills grew and by the 21st century, they ventured into an even bigger project by merging together. 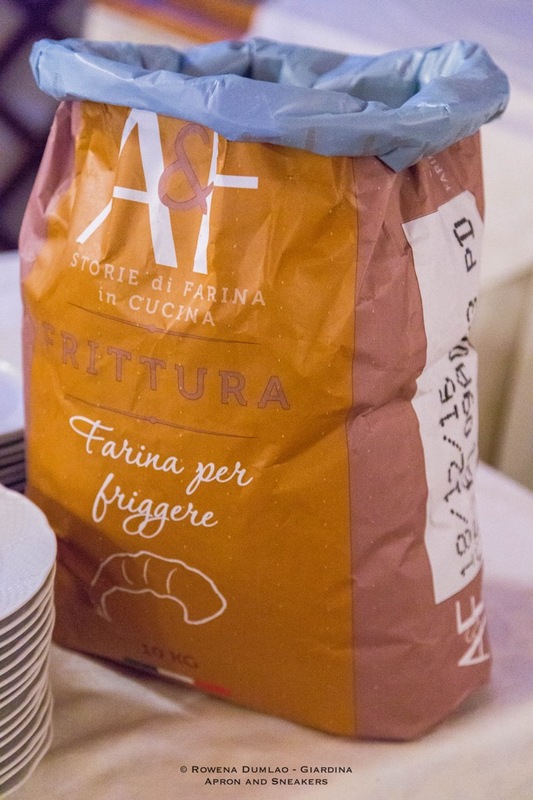 With hundreds of years of experience, expertise and deep knowledge in the field, Agugario & Figna Mills became one solid foundation of the most important flour maker in Italy that has mills in Parma, Padua and Perugia producing 280,000 tons of flour annually. Never wavering from their original mission, they continue to bring excellent semi-finished high quality flour. Finally, I can sit down again with a more relaxed mind. It had been quite some since I last posted in my blog (for good reasons) after I had been running around attending to things at home and traveling. This time, I would like to share something that you can call a tradition Italian pasta dish with a just little twist of lemon and rosè wine. 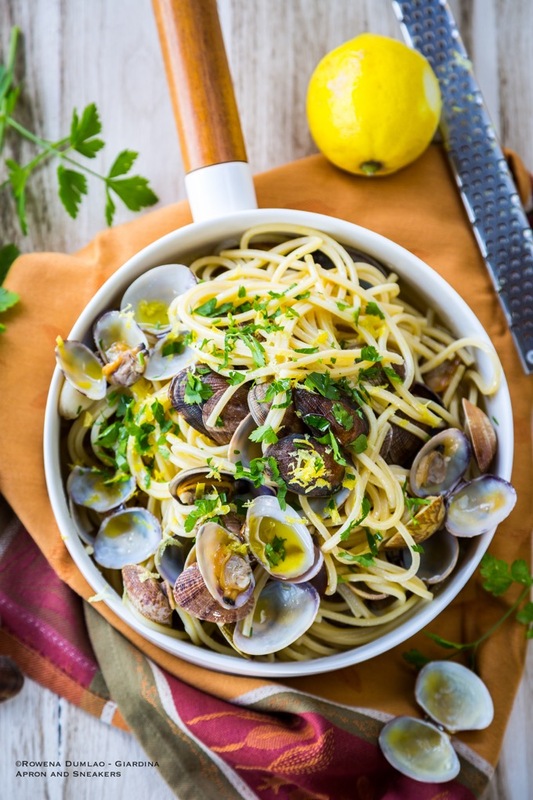 The lemon zest added a delicate, fresh citrus hint and while the rosè didn't really change the taste from the usual white wine, the whole dish got a refreshing unobtrusive change because after all, the vongole or clams are the ones that give the primary flavors to this dish. 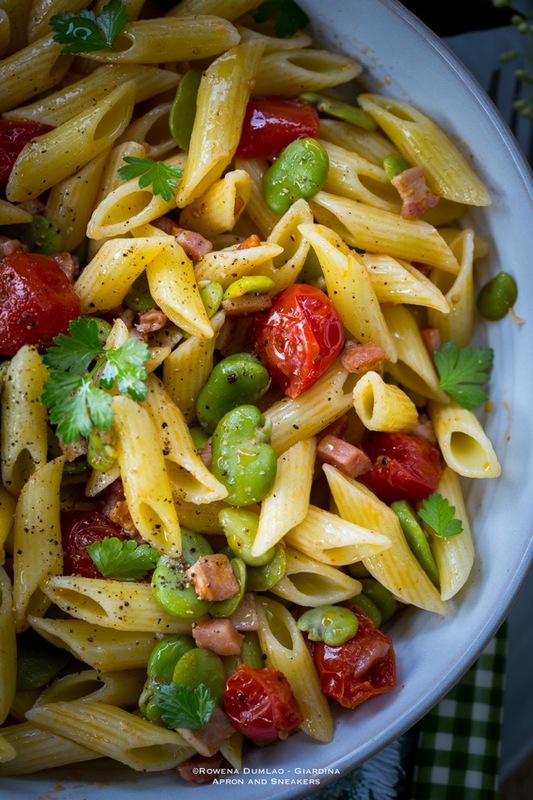 A few years ago, I never minded the work behind shelling and cooking fava beans. I could have shelled tons of them as long as my hands would allow me. You wouldn't mind doing it either if you have the best kitchen assistant working beside you. My then toddler daughter would pull a chair beside me, shell her own little mountain of pods while she bombards me with every question she can think of, like what I say is the only thing that matters to her. A curious little one who attached herself to me day in and day out and kept the word "why" to her main vocabulary. Fennel keeps on jumping out at me when I am walking through rows of vegetables. I like it because it is such a versatile companion in cooking. 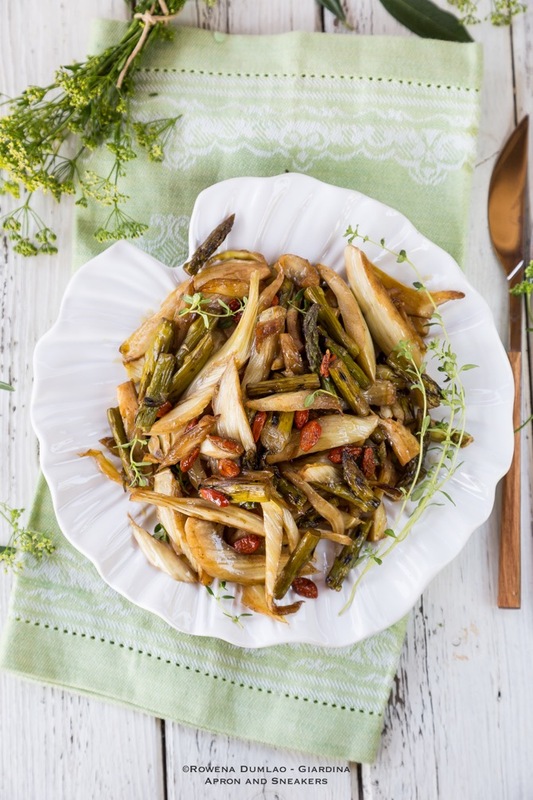 You can eat it raw while chopping it (I do all the time), it goes so well with other fresh ingredients in salads, for cooking with fish, baking it to make a Fennel Gratin, or just plain tossing in olive oil to take out its delicious aromatic juice. In any case, grab a bulb when it is in season and use it in your meals. Even if you can find it anytime of the year now, it is still at its best in its real season which is autumn to spring. So it's another banana cake, what's new? 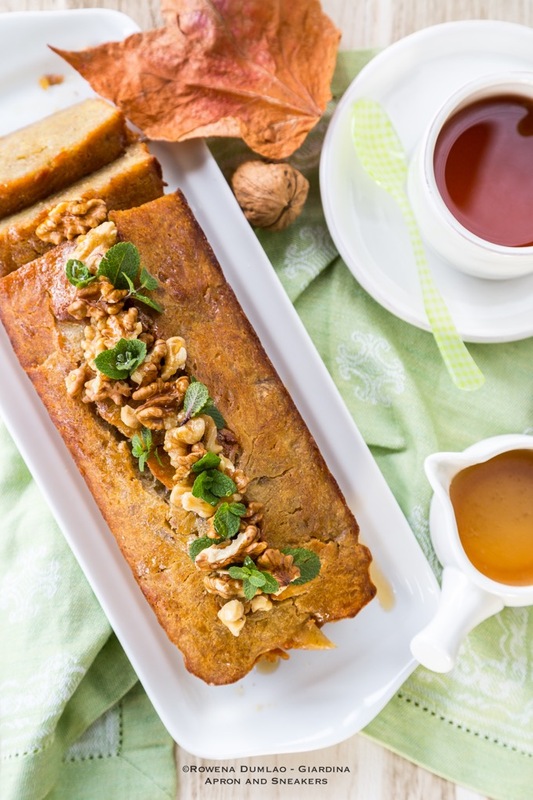 What I like about this cake and perhaps you would too, is that it has crushed walnuts in the cake and it comes with brandy sauce that you pour on it while it's hot. Sweet sauce with oak flavor poured on the cake while it absorbs all its flavors while cooling down to room temperature. Do I need to say that it's delicious? I can actually finish one cake all by myself if I can but it's not nice not to share. But the cake did disappear less than twelve hours on the table.